Stress kills! It wears us down mentally and can trigger stress eating. Stress also damages us by disrupting our body’s hormones. The neurochemical and hormonal reactions to stress are regulated through the Hypothalamic-Pituitary-Adrenal axis (HPA axis) designed for acute stressors that resolve rapidly. Present day chronic, low-grade stress results in the continual release of CRH (Corticotrophin Releasing Hormone) from the hypothalamus. This chronic secretion causes dysfunction in the HPA axis, desensitizing the hypothalamic and pituitary receptors to negative feedback from adrenaline, noradrenalin and particularly, cortisol. Loss of negative feedback within the neuro-hormonal system results in a multitude of health issues. It increases the production of ADH, aldosterone, and angiotensin increasing vascular vasoconstriction and sodium retention. 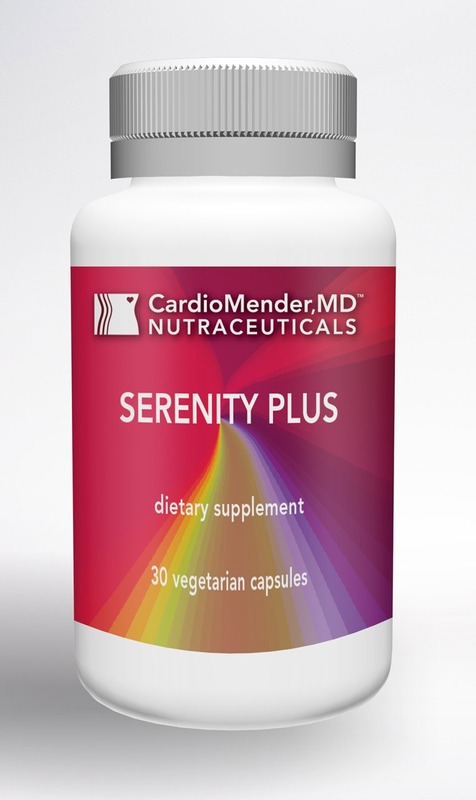 It increases C-reactive protein and endothelin, which is not favorable for the cardiovascular system. Additionally, it directly increases LDL production as well as glucocorticoid and mineralcorticoid release. When the negative feedback loop within the HPA-axis is disrupted, chronic hormonal secretion becomes “normal” for that individual. In this state, they either fail to recognize they are stressed, or they may experience exaggerated emotional and physical response to every stressor including intolerance to noise or light, or feeling overwhelmed by simple tasks. Stress affects so many aspect of health that it is becoming crucial to rebalance the HPA-axis. 1) Lactium® binds specifically to the BZD site of the GABA-A receptor and does NOT bind to the PBR site of the GABA-A receptor responsible for the sedating effects seen with benzodiazepines. Serenity Plus is for individuals wanting to support their response to stress and re-establish the HPA axis.